Domestic and Commercial Professional Carpet Cleaning, Rug Cleaning, Curtain Cleaning, Upholstery, Mattress and Leather Cleaning Services throughout Oxfordshire, Newbury and the surrounding areas. Professional Carpet Cleaning, Rug Cleaning, Curtain Cleaning, Upholstery Cleaning, Mattress Cleaning and Leather Cleaning that has your carpets and furnishing spotlessly clean, using our Ultra Carpet and Upholstery Cleaning systems that have been tried and tested over the years to provide excellent results with terrific value! 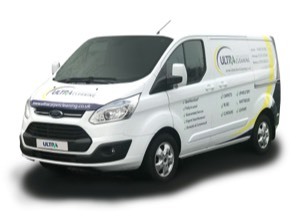 Ultra Carpet and Upholstery Cleaning offer a domestic and commercial professional carpet and upholstery cleaning service using three different types of cleaning systems a Hot Water Extraction Cleaning System, a Bonnet Cleaning System and a Dry Compound Cleaning System. Our full time, vetted, insured and fully trained carpet and upholstery cleaning experts are trained to clean your carpets and upholstery using the correct cleaning system to suit your carpets and upholstery and the environment that they are used in. Our carpet and upholstery cleaning experts will inspect your carpets and upholstery for construction type, wear and tear and usage. Carpets and Upholstery that doesn’t receive regular professional cleaning can quickly be spoiled with traffic lanes, stains, discolouring and may need replacing. Every day could be doing your carpets and upholstery damage if they have not received a professional clean. A professional carpet and upholstery clean filters damaging air pollutants like pollen, fungi, chemicals, bacteria and other residues from your carpets which will help the fight against dust allergies and asthma keeping your family healthier and happier. A professional carpet and upholstery clean removes all unpleasant odours such as Cooking, Pets and Cigarette smoke giving your home that fresh new smell. Extend the life of your carpets and upholstery by removing all the trapped fibre and damaging debris with the latest tried and tested cleaning systems leaving your carpets and upholstery fresh and clean, deep down. Drying times are minimised using our state of the art cleaning systems so that your Carpets and Upholstery will be ready to use in as little time as possible. Ultra - many thanks for your professional team for a first class job. We will certainly be using you in the future. I write to tell you that the gentleman who cleaned our house before we left for our new residence in Dorset was absolutely brilliant in his application and he deserves our heartfelt thanks for a job well done. He practically turned cleaning into an art form, and we hope he goes from strength to strength. Hello Ultra. 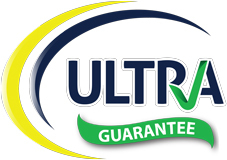 Thanks for cleaning my carpets and also protecting them with Ultra Guard, now they should be safe from my toddler should he spill anything. Thank you. Thanks Ultra. We were very happy. I'm sure there was a lot of dirt in the carpet but now it is gone! We will definitely think about using Ultra in the future for this kind of work. Look out for our experts cleaning carpets near you across Oxfordshire today! Your Carpets and Upholstery will feel softer, smell fresher and you will appreciate a healthier result for you and your family.